Are you currently in the process of seeking out an Adoption Agency in Jacksonville? Well, the truth is you have found a great resource to help you solve this problem! Love Adoption Life is an adoption organization based in Jacksonville, Florida that specializes in Adoption Placement and helping pregnant women who are interested in placing their baby up for adoption. Unlike an Adoption Agency in Jacksonville, Love Adoption Life is a Legal Adoption Organization that not only has specialized Adoption Coordinators, but we also have some of Jacksonville’s most passionate Adoption Attorneys. 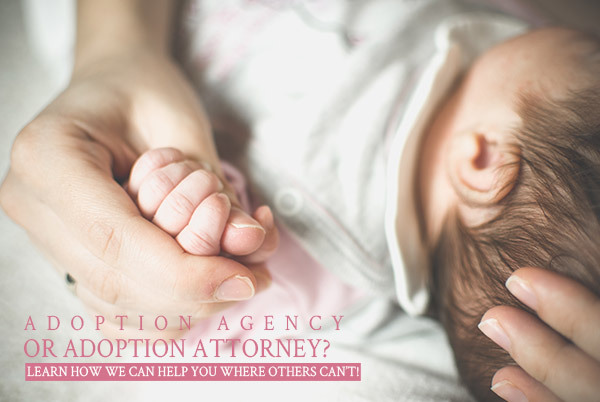 Our Adoption Organization operates similar to an adoption agency with the added benefit of having an adoption attorney on staff to help you with your legal concerns. Adoption Agency or Adoption Attorney? While Adoption Agencies in Florida are a great help in placing children in homes, there are added benefits to selecting and partnering with an Adoption Attorney. So what’s the difference between the two? An Adoption Agency in Florida is simply a licensed company or organization who helps place children in adoptive homes. However, this leaves out a huge concern for pregnant women considering adoption for their unborn children. Many times, women aren’t in a place to handle a newborn baby. This can range from emotional concerns to the very problematic financial components. Many women, simply put, need help. This is where, unlike an adoption agency, an adoption attorney can help. Attorneys are experts in the field of adoption. We have to be. It basically means that you will receive individualized legal and expert help and advice for your specific needs. For example, say you just unexpectedly found out that you were pregnant and considering adoption. An Jacksonville, Florida Adoption Lawyer like Love Adoption Life would be able to help you. Firstly, the most empathetic part in our process is to leave your decision up to you. Our Adoption professionals will never pressure you to make any decision on your pregnancy. Secondly, if you do decide to place your baby up for adoption, we help you understand every option available to you. These options range from adoption financial assistance programs or confidential counseling. Our compassionate Jacksonville Adoption Team is made up of adoption coordinators who have walked in your shoes and understand the complexities of emotions that you may be dealing with. Contact Our Jacksonville Adoption Attorneys Today! Love Adoption Life cares about each individual and family who passes through our doors. For a moment in time we get to embark on a journey that aligns us with some of the most amazingly self-sacrificing people in our world. Whether you have recently found out that you are pregnant or are an adoptive family looking to adopt a newborn baby, our Jacksonville Adoption Lawyers can help you with all of your adoption needs. You can contact us anytime conveniently at our office located in the heart of downtown Jacksonville at 904-723-1406. Not comfortable with calling or filling out our form? That’s completely OK and 100% understandable. We have a convenient, and 100% confidential texting line open that allows you to contact one of our adoption coordinators directly with the safety of remaining anonymous until you feel comfortable! Text us today at: 904-723-1406.